Newton director #AmitMasurkar said he feels #RajkummarRao deserved an award for his performance in films like Newton,‘Trapped’ and ‘Bareilly Ki Barfi’. Abhjit Masurkar interacted with along with actor Krishna Singh Bisht, co-writer of ‘Newton’ Mayank Tiwari and music composer Naren Chandavarkar after the announcement of 65th National film awards on Friday in Mumbai. Sharing his feeling after winning prestigious award of the country, Masurkar said, “It feels very good. We are very happy that ‘Newton’ got best Hindi film award. I want to thank audience jury and the whole team of ‘Newton’ for their love and support to our film. I am sure that we will be inspired to make more films the way we want to make after winning this award. Actor Pankaj Tripathi, who was part of ‘Newton’ also won a Special Mention for his performance at the 65th National Film Awards. 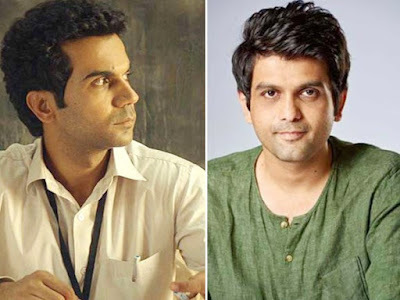 Produced by Manish Mundra and starring Rajkummar Rao, the film revolves around a young government clerk, who is sent on election duty to a Maoist-controlled town. It portrays how the ideological struggle puts him in an awkward situation. The film was shot in the interiors of Chhattisgarh.